Plans to open Birmingham’s biggest coffee outlet in the heart of the city centre have today been unveiled. Located in the Beneficial Building opposite Paradise Forum, Urban Coffee Company is to open its fourth emporium at the site, forming part of a £16 million hotel development. The building is being transformed by Gethar Ventures, led by well-known former Wragge & Co lawyer Anthony McCourt. 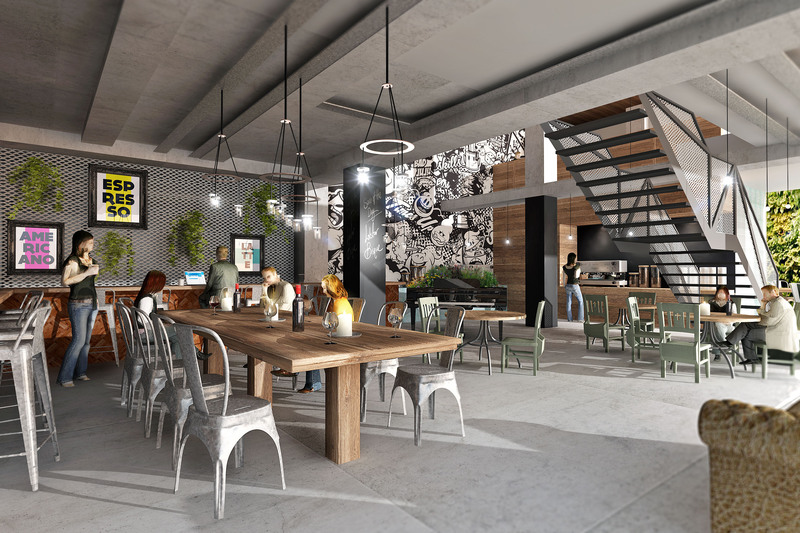 The 161 sqm ground floor space, with seating available upstairs, will enable Urban Coffee Co to dramatically expand their food proposition with specific breakfast, lunch and dinner menus, with full bar service also available. The 16 sqm kitchen will also be used to offer room service to the proposed hotel above. Customers will be greeted by a 62.5 sqm mezzanine area which will allow them to see into the kitchen through a steel mesh decorated with flowers and artwork. Raw materials such as concrete and painted brick will be used for work surfaces, whilst a graffiti art feature wall can lead to hours of gazing. A ‘green’ wall filled with plants and flowers adorns the wall at the foot of the staircase. Upstairs, a 50 sqm conference room is available to hire, with an entrance to the hotel also located on the upper level. “We have been impressed by their entrepreneurial skills from the get-go. They introduced the first of the ‘third wave’ of coffee emporiums here in Birmingham and pioneered the flat white coffee in the city. “This new site is testament to this and is especially exciting as we have a bigger budget than ever before for the kit out – we’ll certainly be going for a much quirkier look than in any of our other emporiums. This entry was posted in Area: Central Shopping, Areas in Birmingham. Bookmark the permalink.